We had great 7 nights, seating near the fireplace. The property is great. You are about 700m from the Romerbad therme, and gondola, and about 1.3km from St. Kathrein therme, what puts you in the middle of everything we were interested in. The bus station is about 200m down the road. Wonderful spacious 4 story apartment with sauna and whirlpool, large lounge with fireplace, well equipped kitchen and large dining table. Comfortable beds and excellent location, 10 min walk from Kaiserburgbahn and thermal baths and close to shops. Location, view and balcony. Wine appreciated. Owner very helpful and friendly. Spoke good English and gave travel advice. Nice, roomy and clean appartment for 3 people. Pleasant accomodation provider ( owner of the house ). Sunny, clean, comfortable and spacious apartment with beautiful views, great for family with a child. 10 minutes walk to cable car, 8 min to Romerbad. Kitchen equipped with lot of handy utensils. Bathroom with big bathtub. Storage area for skis. Two pairs of keys from apartment. Good wifi coverage. The renter was a very nice person, she helped us with everything we needed, even we could buy a Ski and wellness skipass from her. All was perfect, very friendly owner Christine :-) Thank you ! Exceptionally well-equipped, spacious apartman with jacuzzi, sauna, barbeque, large garden, private parking places etc. The kitchen is very well equipped with much more plates, cups, glasses, cutlery than the maximum number of guests. Free wifi of satisfactory quality and speed. 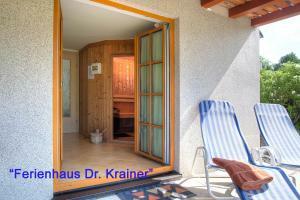 Excellent location with nice view to Kaiserburg near the village center and Römerbad. Dog-friendly accommodation. Lock in a great price for Ferienhaus Christina & Haus Dr. Krainer – rated 9.4 by recent guests! 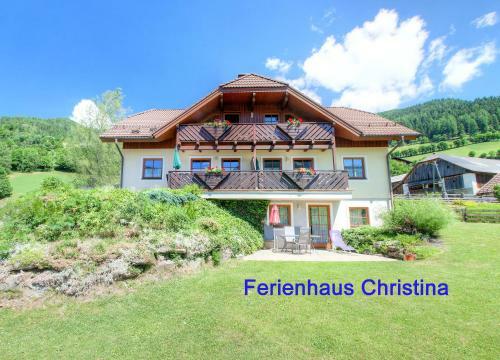 One of our top picks in Bad Kleinkirchheim.The Ferienhaus Christina & Haus Dr. Krainer are two cozy chalets located 350 feet apart in Bad Kleinkirchheim. These cozy houses offer self-catering apartments complete with free WiFi. All accommodations units are equipped with modern cooking facilities and up to several bathrooms. Amenities include a satellite TV and a washing machine. Many also have their own private patio or balcony. Guests can stock up on necessities in the grocery stores found within a 3-minute stroll away. In the garden, barbecue facilities are also provided. The free ski shuttle to all elevators of the Bad Kleinkirchheim-St. Oswald Ski Area is just a 5-minute walk away. The Kaiserburgbahn Cable Car and the Römerbad thermal spa can be reached on foot in 10 minutes. The Kärnten Card is included from 1 May until 26 October and allows free admission and discounts at several local attractions as well as for cable cars and public transport. 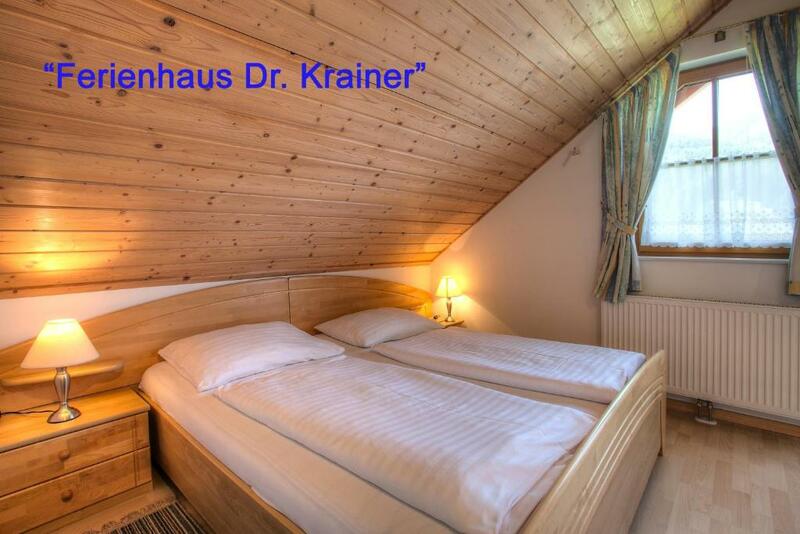 This is our guests' favorite part of Bad Kleinkirchheim, according to independent reviews. 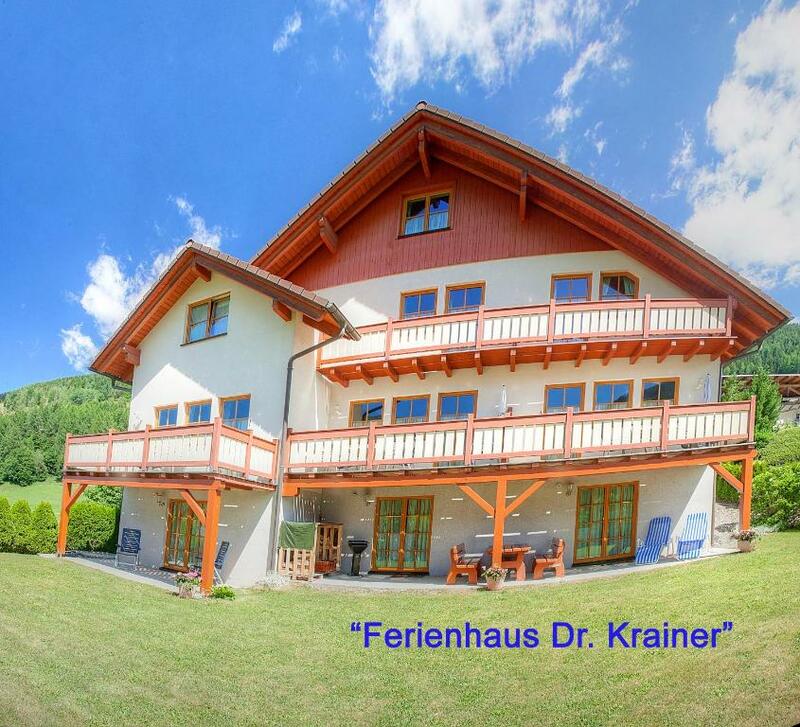 뀐 Located in the top-rated area in Bad Kleinkirchheim, this property has an excellent location score of 9.2! 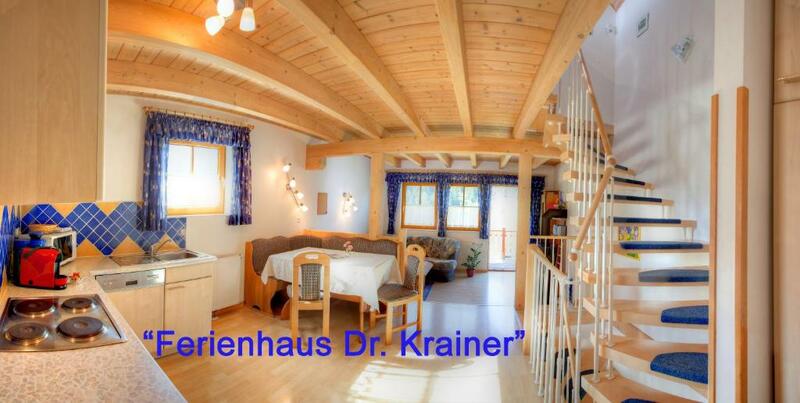 When would you like to stay at Ferienhaus Christina & Haus Dr. Krainer? Ground-floor apartment with a south-facing patio, a double bedroom and a living room with a kitchenette and an open fireplace. The bathroom has a corner tub. Amenities include a washing machine, a TV, and a stereo. This apartment is spread across 3 floors and consists of 2 double bedrooms and a separate living room with a sofa bed. The kitchen is equipped with modern cooking facilities. In the basement there is a sauna, a hot tub and a playroom for kids. This apartment is spread across 3 floors and consists of 3 bedrooms and a separate living room with a sofa bed. There are 2 sleek bathrooms. The kitchen is equipped with modern cooking facilities. In the basement there is a sauna, a hot tub and a playroom for kids. The private patio offers views of the surrounding scenery. Unsere zwei Häuser im Zentrum von Bad Kleinkirchheim bieten Ihnen die idealen Voraussetzungen für den perfekten Urlaub - Wandern, Therme, Golf, Wintersport - alles vor der Haustüre! - vom Mai bis Oktober ist die Kärnten Card bei uns inkludiert und Sie haben über 100 Ausflugsziele Gratis! House Rules Ferienhaus Christina & Haus Dr. Krainer takes special requests – add in the next step! 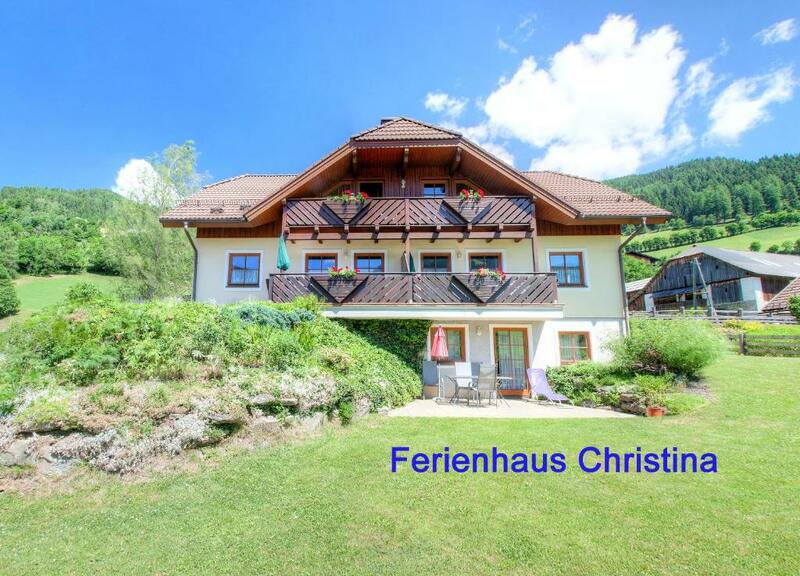 Ferienhaus Christina &amp; Haus Dr. Krainer accepts these cards and reserves the right to temporarily hold an amount prior to arrival. 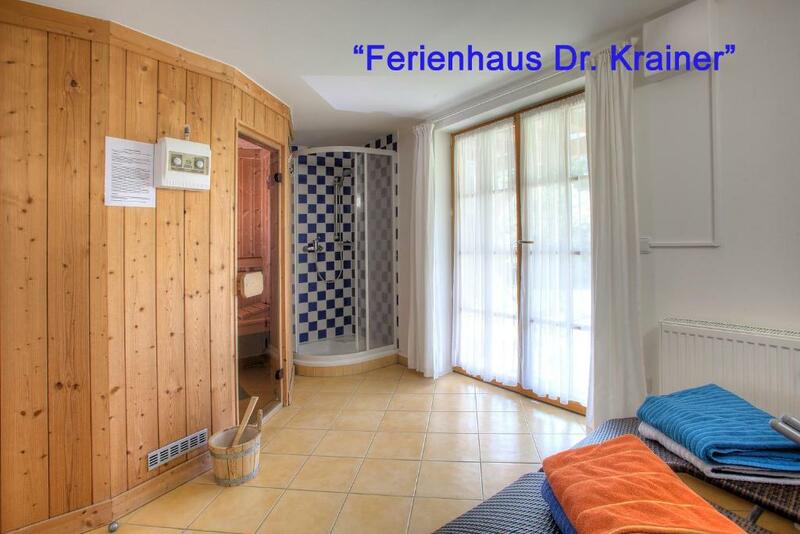 Ferienhaus Christina & Haus Dr. Krainer accepts these cards and reserves the right to temporarily hold an amount prior to arrival. From 9 March to 31 March 2019, a ski pass is included in the rates offering a 50% discount on the entry to the Römerbad thermal bath. From 5 January until 8 March 2019 a child up to 12 years is charged EUR 6 for skipass if one adult buys a 6 day skipass. Sofa bed a bit ropey but served its function for the children. The flat wasn't in the building pictured, but was close by. Great location! Breathtaking view from windows. Very spacy. 3 floors for our family of 5 people was more than enough. Cristina the host was very attentive and helpful. We would appreciate microwave oven. The beds were creaking a little which is not a real problem if you don't have kids with very good hearing, sleeping right next to you, and not wanting to go to sleep. And also a small bathroom, or even just a toilet would be great to have on the upper level betwen the bedrooms, but that's something that is just more of a higher confort then a dislike. If more than one car belong to at least one of the apartments, the parking is a bit tricky. Though the apartman manual mentions that fresh bed linen is available at any time for request, for long (more than 1-week) stays this should be automatic every week without any special action required from the guests. The quality of beds is not a match for the otherwise exceptionally well equipped and maintained, very nice apartman (thin mattresses, broken bedgrid). I woke up with neck and back ache in the middle of every night. Positive aspect of the problem is the fact that the landlady arranged a new bedgrid immediately after we had requested. But thin mattresses remained problematic.